TSP Legal Do I Need Planning Permission for Decking in my Garden? 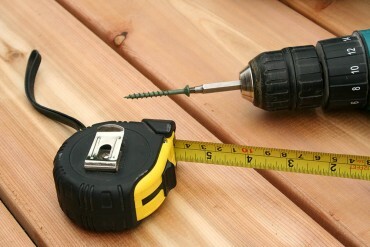 TSP Legal > News > General News > Do I Need Planning Permission for Decking in my Garden? Do I Need Planning Permission for Decking in my Garden? Thompson Smith and Puxon Residential Property solicitor, Laura Finnigan, discusses when you might need planning permission for decking in your garden. If you are thinking about installing decking (or another raised platform) in your garden, it is important to consider whether or not planning permission will be required. The installation of decking is generally permitted development and therefore will not usually need planning permission. However, if the decking is more than 30cm above the ground and, together with other extensions, outbuildings etc. the decking covers more than 50% of the garden area, planning permission for decking may be required. Please note, if your property is covered by an Article 4 direction (a provision restricting the scope of the usual permitted development rights), is a converted house created through the permitted development rights to change use, or is a flat or maisonette, it may not be covered by the permitted development rules referred to above. If you are unsure as to whether you would be required to obtain planning permission, I would strongly recommend that you contact your local planning office for advice on how best to proceed. If planning permission is required, building regulations consent will also most likely be required.